The Oregon men’s track & field team clinched the Pac-12 Conference championship Sunday afternoon at Stanford, extending their legacy as the premier program for a 12th straight year. The Ducks out-pointed Stanford 174-125 and grabbed four individual titles in extending their historic run of conference championships. The Women of Oregon saw their nine year streak of Pac-12 titles come to a halt at the hands of the Women of Troy buy a score of 170-154. It was in the sprints that USC was able to separate from the pack, scoring a first and a second in the 100m, a second, third, fourth and fifth in the 200m and finishing first and third in the 400m. USC also won the 4X100 and 4X400 relays with the Ducks taking the runner-up honors in both races. 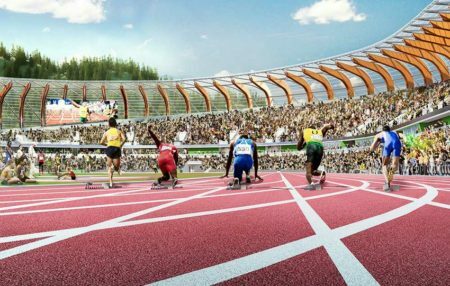 Artist rendition of rebuilt Hayward Field courtesy U of O Athletic Department Media Services. 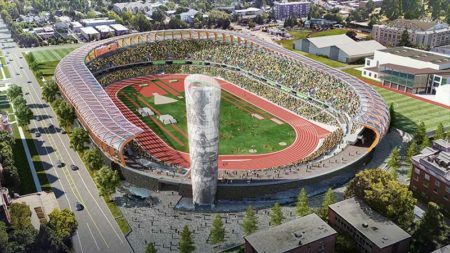 While the legacy and the outlook for both the men’s and women’s programs remains unmatched in collegiate track & field, their historic venue is due for a radical makeover. 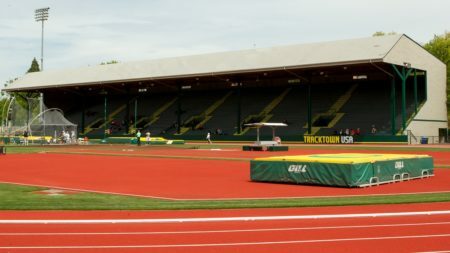 Shortly before this year’s Twilight Meet, the University announced Hayward field would be rebuilt from the ground up. 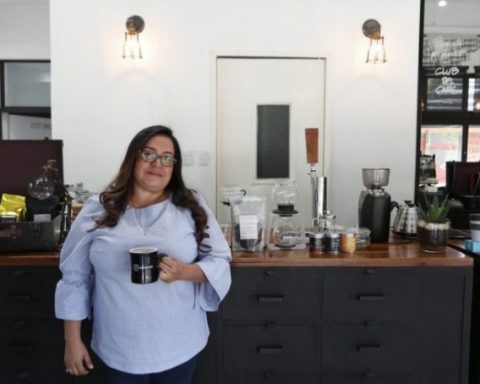 A grass-roots effort to keep the iconic east grandstand as part of the overall design ran up against the hard realities of the dated architecture and materials used in the original construction. Promising a state-of-the-art facility, construction will begin after the NCAA Championships and the US Outdoor Championships are held next month. Completion is expected in time for the Ducks to host the NCAA championship meet again in 2001. The 2018 Oregon Twilight meet will go down in history as the final regular season event hosted at the venerable venue. The post A Dynasty Continues to Reign as an Era Comes to a Close appeared first on DuckNews.com.